A few minutes ago, we were having a casual conversation with one of our friends at Verizon and they made mention of a new potential date for the HTC Thunderbolt (Zomg what!). March 21. There were notes in their systems that even mentioned the word “official” when referring to the 21st, but really, who’s holding out hope for any of these dates anymore? 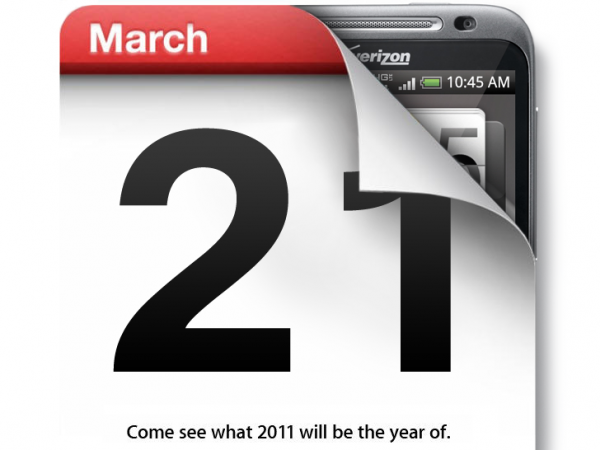 We should also point out that the 21st is a Monday which is odd, since we know that Verizon launches almost everything on Thursday (except for the iPad 2 because it’s special). But to help out this date, our friends at BGR must have had friends reading the same internal screen as they are reporting this same date. Cheers that dude and to Patrick for the photo!